Admission Price: This event is now fully booked. The School of Health Sciences is delighted to welcome Professor Lord Robert Winston to give the first City 125th Anniversary Lecture. 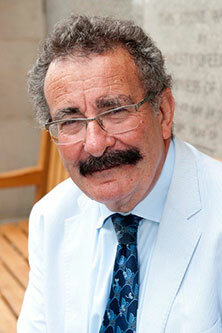 Robert Winston is a world-renowned expert in fertility and genetics, currently Professor of Science and Society at Imperial College London. He has over 300 scientific publications about human reproduction and the early stages of pregnancy to his name. He is Chairman of the Genesis Research Trust – a charity which established the Institute of Reproductive and Developmental Biology at Imperial and which now funds high quality research into women’s and babies’ health. He is a passionate communicator of science to all age groups both as a BAFTA-winning broadcaster and an author of over 20 titles. He is an active peer in the House of Lords and Vice-President of the Royal College of Music. He is a lover of fine wine, pre-war cars and Arsenal Football Club.